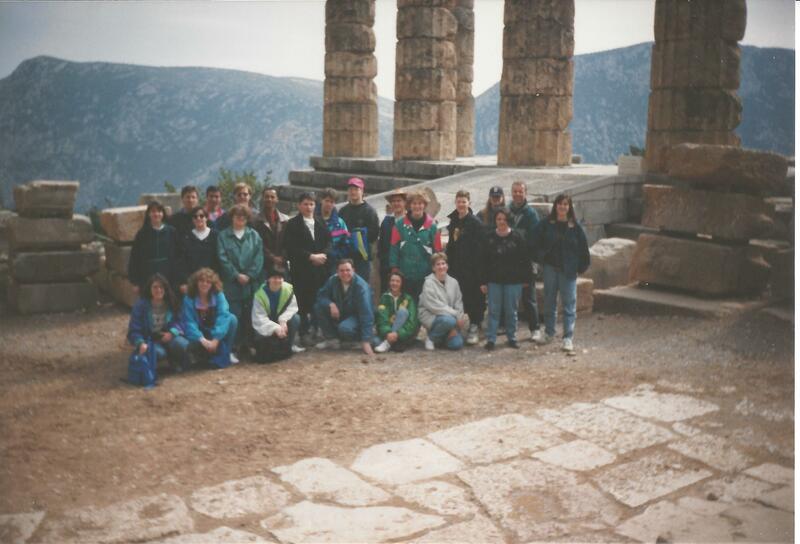 In March 1992, St. Patrick students travelled to Greece and Rome on the first ever overseas excursion from the school. The group was led by teachers Vince Serrao and Barry Quarrell. While in Greece, the travellers visited such as places as the Acropolis, Delphi and the islands of Aegina, Hydra and Poros. After a short flight to Italy, the group visited the Colosseum, the Vatican and Pompeii.